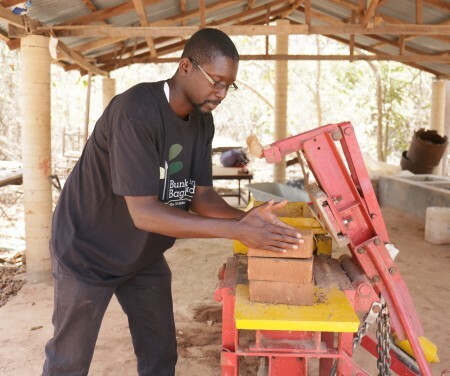 The Earth Builders Association, in collaboration with the Startup Incubator and the International Trade Centre (headquarters in Geneva) under the auspices of the EU-Gambia Government Youth Empowerment Project (YEP), are inviting applications for a scholarship for Gambian youths to pursue employability skills development training in compressed stabilised earth blocks (CSEB) production and use. For the Central River Region training from the Youth Centres in Janjanbureh and Bansang. The form should be filled out properly and returned at the same place no later than 31st October 2018. Application forms can also be downloaded from www.yep.gm. Alternatively, scanned completed applications can also be sent to mbugulbah@gmail.com or info@startupincubator.gm or WhatsApp on +3100817. Deadline for submission of applications is 31st October 2018 at 14:00. For any enquiries, please contact Modou Touray on 3100817.